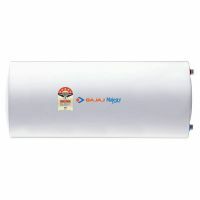 Bajaj Majesty 15 L GMH (RW) Water Heater is a Available 15 and 25 in Right Wall, Left Wall and Floor Installation. It is Multiple safety systems for protection against dry heating, over heatuing and over pressure. This is a Suitable for High Pressure and Pressure Pump Installations. This Bajaj geyser has a Glass Lined Tank and 5 Star Rated. Multiple Safety Multiple safety systems for protection against dry heating, over heatuing and over pressure. To Recieve updates and possible rewards for Bajaj Majesty 15 L GMH (RW) please sign in. To Recieve updates and possible rewards for Geyser/Water Heater please sign in.